COCOA, Fla. — Five Florida teenagers who taunted a disabled man as they watched him drown will be charged after all as authorities have been able to find a statute that they believe will be applicable to the teens’ actions. 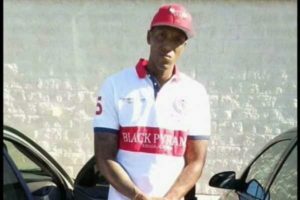 The Cocoa Police Department and the office of Brevard County State Attorney Phil Archer have concluded that the teens will be charged under Florida Statute 406.12, which pertains to failure to report a death. “It’s our belief that this law has never been enforced in a scenario like this, but we feel it could be applicable,” he said. As previously reported, the incident occurred on July 9, as Jamel Dunn, 32, went out for a walk following an argument with his girlfriend. Dunn used a cane as a walking aid, and for unknown reasons, he waded into the pond at Bracco Park. Five teenagers, ages 14-16, who had been at the park smoking marijuana, saw Dunn enter the pond. However, instead of answering his cries for help, they began taunting him. One recorded Dunn with his cell phone. “Get out of the water, you gonna die,” one of the teens called out. Dunn’s girlfriend soon reported him missing, and on July 14, a passerby contacted authorities to report a body floating in the pond. A friend of Dunn’s soon also discovered the recording on social media and contacted the police. The teens were identified and questioned by detectives, but did not express any regret or sorrow. “There was no remorse, only a smirk,” spokesperson Yvonne Martinez told Florida Today. While it is not known why Dunn seemingly intentionally entered the water, police state that it does not excuse the actions of the five teenagers. “In a case like this we struggle to understand how anyone could be so cold and heartless and then learn that there are no laws in Florida that obligate someone to render aid or call for someone to render aid for a person they see in distress. Never in my life would I have ever thought we would need a law to make this happen,” Parrish lamented.